Elections are to take place June 8th. The gap between Corbyn and May is small, but he is far from the only anti-Semite in UK politics. In 2016 the UK’s Jewish defense organization, Community Security Trust, recorded 1,309 anti-Semitic incidents, the highest total ever and an increase of 36% from 2015. In 2014 there was the previous highest total recorded with 1182 incidents. A new poll of the Anti Defamation League found that anti-Semitic attitudes were held by ten percent of the population, a decline from a similar 2015 poll. Still some expressions of anti-Semitism remain widespread. One third of the respondents expressed the opinion that Jews care more for Israel than they do for Britain. In 2015 this figure was even higher at 41%. More than a quarter of those interviewed in the UK report that anti-Semitism in politics has increased. While 40% are more worried about the extreme right, 36% are more concerned about left wing anti-Semitism. This last finding is important because in many countries left wing anti-Semitism expresses itself as anti-Israelism. This fact is greatly underestimated. In 2017, anti-Semitism in the UK continues to manifest itself in many areas. Due to the election campaign this article focuses on anti-Semitic and anti-Israeli issues in politics. Simon Johnson, chief executive of the Jewish Leadership Council (JLC) remarked about anti-Semitism: "this is probably the first election at which this has been an issue to such a big extent.” That was the case even though two lethal terror attacks by Muslims – respectively in Manchester and London – were carried out against the British population. In 2016 the outburst of anti-Semitic incidents in the Labour party caused much publicity. This was also the case with a report commissioned by party leader Jeremy Corbyn from Shami Chakrabarti – now Lady Chakrabarti -- who tried to whitewash it. A poll commissioned by the Jewish Chronicle found that 13 percent of Jews still intend to vote for Labour. In the same poll the respondents were asked to rank the four largest parties according to the level of anti-Semitism among the party’s members and elected representatives. The scale ranged from 1 to 5 according to increasing anti-Semitism. The respondents placed Labour at 3.94, UKIP at 3.63, the Liberal Democrats at 2.7 and the Conservatives at 1.96. The main anti-Semitic incident in Labour so far this year was the decision to suspend former UK mayor Ken Livingstone for an additional year rather than to expel him. Livingstone repeatedly stated that Hitler supported Zionism. He maintained this position after his suspension, which may or may not lead to further measures by the party against him. UK Chief Rabbi Ephraim Mirvis said that Labour failed the Jewish community. A Jewish Labour Movement open letter stated that not to expel Livingstone was a betrayal of the party’s values. This letter was signed by 107 Labour MPs -- out of 229 – and 48 Labour peers. 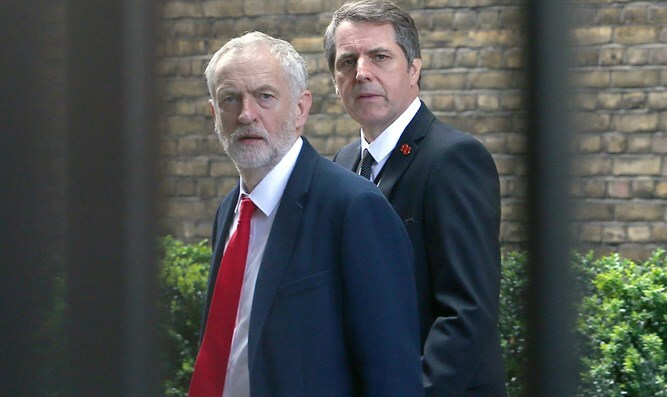 In the upcoming parliamentary elections Labour has chosen as candidates two leaders of the Jewish Labour Movement (JLM) in London constituencies with relatively large concentration of Jews: Jeremy Newmark in Finchley and Golders Green and Mike Katz in Hendon. There are Labour candidates of the JLM in a few other constituencies as well. During the run up to the elections additional information about Corbyn’s past actions has become public. The Daily Mail reported that in October 2014 – a year before he became Labour leader -- Mr Corbyn travelled to Tunisia where he apparently laid a wreath at the grave of Atef Bseiso. Bseiso was the head of intelligence of the Palestine Liberation Organisation and was involved in the 1972 Munich massacre, in which 11 Israeli Olympic athletes and coaches were killed. Bseiso was assassinated in Paris in 1992. Anti-Semitism has become the number one topic of political discussion amongst the Jewish community nationwide. The paper also mentioned that Corbyn wrote in the communist paper, Morning Star, that he attended a conference alongside members of Hamas and the Popular Front for the Liberation of Palestine when he visited Tunisia. In May of this year Corbyn appointed two advisers who held extreme anti-Semitic and/or anti-Israeli positions. Andrew Murray, a Stalin admirer and supporter of North Korea, was retained to run Corbyn’s election campaign. He served as chair of the BDS promoting Stop the War Campaign and also supported Hamas and Hezbollah. Corbyn’s new trade union adviser, Tim Lezard, was accused of a number of anti-Semitic tweets. One of these tweets asked why British taxpayers should pay for security at synagogues. He responded that Israel’s actions in Gaza were the source of rising anti-Semitism in the UK. When Corbyn was interviewed on radio by Emma Barnett it turned out that he did not know the costs of the child care policy proposed by Labour. Thereafter, this Jewish broadcaster was the target of anti-Semitic statements on social media by Corbyn supporters. A few days before the elections, Labour published a manipulative Faith Manifesto. In December 2016, the UK government adopted the definition of anti-Semitism of the International Holocaust Remembrance Alliance. Labour only mentioned in its manifesto the part concerning Jews, and omitted the text concerning Israel. In the election campaign, anti-Semitism has also been an issue in other parties. The Liberal Democrats fired two candidates. The Liberal Democrats’ leadership initially intended to let one of them, David Ward, run. Prime Minister Theresa May attacked Ward in Parliament mentioning his "questionable record on anti-Semitism." A few hours later Liberal Democrats leader Tim Farron said: “David Ward is unfit to represent the party and I have sacked him." Carolyn Lucas, the only Green MP, backed campaigners for the boycott of an Israeli company. In Bradford East, former Respect party leader, Salma Yaqoob, is standing as an independent. In her campaign she promotes a boycott of Israel. The Liberal Democrats also sacked Ashuk Ahmed, their candidate in Luton South. Ahmed compared Israeli Prime Minister Benyamin Netanyahu to Hitler on Facebook. UKIP also withdrew a candidate, Jack Sen because of his anti-Semitic views. 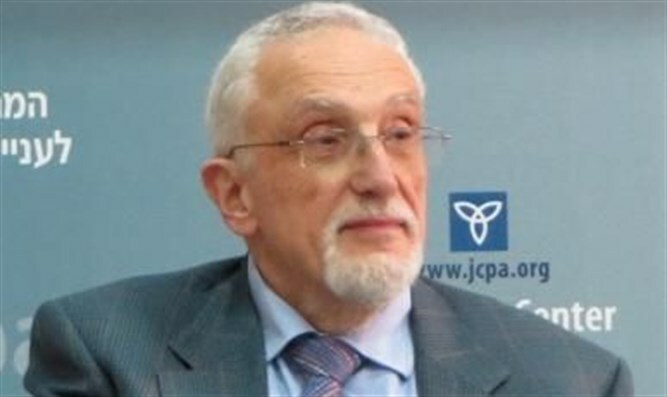 The above can be summed up by what Marcus Dysch, political editor of the Jewish Chronicle said: "Anti-Semitism has become the number one topic of political discussion amongst the Jewish community nationwide. It is the issue people are talking about above and beyond Brexit, the economy or healthcare."